There were 474 press releases posted in the last 24 hours and 153,488 in the last 365 days. NEW YORK, NY, USA, October 11, 2018 /EINPresswire.com/ -- Evoke Neuroscience announces it has been selected to present to the attendees of this year's Medical Technology Innovation Forum on October 29th in Newport Beach, California. 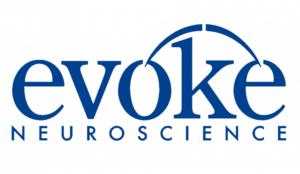 Evoke will present its eVox® System, which aids physicians in the diagnosis of memory loss and other cognitive disorders, to a diverse group of clinicians, investors and healthcare industry professionals. Evoke has assembled an executive team of industry veterans and innovators to lead the research, development and commercialization of its next generation technology. As of October 4th, 2018, Marinela Gombosev has been promoted to the position of Chief Executive Officer, bringing expertise in medical device operations, product development, marketing and commercialization. Marinela has been EVP of Operations and Marketing at Evoke for four years. Co-founder and Chief Innovation Officer, James Thompson, Ph.D., will continue to ensure that Evoke’s technology is grounded in scientific validity and is maximizing clinical utility for physicians. Peter E. Raymond will lead the company’s next generation research and development as Chief Research and Development Officer. Peter E. Raymond has been named an IBM Global Platinum Entrepreneur for his work in Cognitive Artificial Intelligence (AI), developed the world's first biometric heart failure simulator, and has been featured by Apple for innovation in healthcare. Co-founder and former Chief Executive Officer, David Hagedorn, Ph.D., will remain on the Evoke Neuroscience Board of Directors. Historically, most providers have relied on self-report questionnaires and effort-based computerized testing for determining a diagnosis. But to understand cognitive health, and more specifically memory, it is important to measure key biomarkers of the brain itself. The eVox® System delivers objective and stable biomarkers that may aid in diagnosis. Primary and specialty care physicians can use eVox® to acquire these biomarkers, in-office, via a non-invasive procedure performed with minimal staff training and time. Doctors should use their professional judgment in determining when the eVox® System is appropriate to aid in diagnosis. OCTANe’s 13th Annual Medical Technology Innovation Forum (MTIF) is the largest conference in Southern California focused on high-growth medical technology innovation and investment. The collaboration of OCTANe, LaunchPadTM, and the Orange County/Inland Empire SBDC Network has enabled hundreds of life science technology, information technology, sports technology, and clean technology companies to get started and grow. Since 2008, LaunchPad SBDC companies have obtained $1.4 billion of investment capital infusion. Evoke Neuroscience (www.evokeneuroscience.com) was formed in 2009 with the mission to improve diagnosis and treatment of cognitive disorders with objective, clinically meaningful and easy-to-use products. Physicians use the eVox® System to acquire objective and stable biomarkers that may aid in the diagnosis of cognitive diseases such as dementia. Evoke was named one of the INC. 500/5000 fastest growing companies two years in a row.